Jiujitsu All Levels class is designed to provide a complete grappling experience for students of all levels. 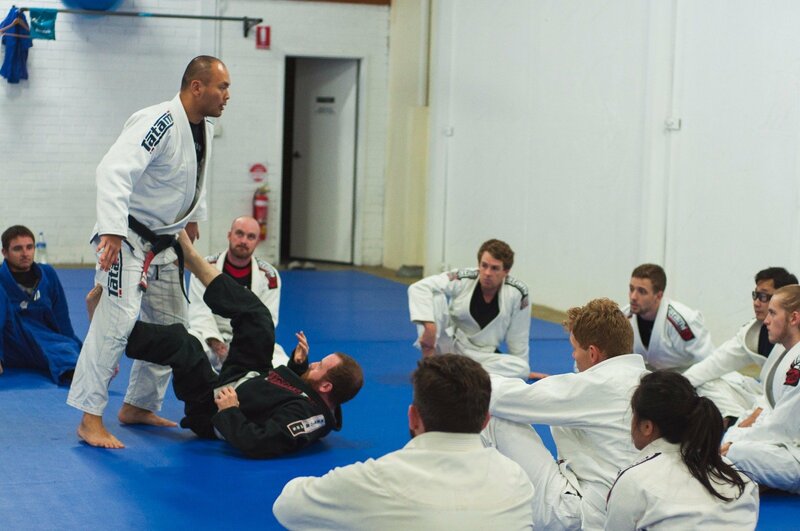 The class is meant to be challenging for students in terms of fitness, technique timing and ability to implement overall grappling skills in various scenarios. The class also builds on the fundamental skills and combining techniques into more complex combinations for students progressing to higher belt levels. The 1.5-hour class followed by an open mat session allows students to work through a guided class to optionally complete their training with free rolls or to focus and drill skills that they need to develop further. Our objective is to minimise injuries for all students and this class is not recommended for students that do not have a sound understanding of the positions and fundamental skills. Classes are planned around focus areas or themes that allow a deep discovery of a particular topic. We have structured progressions and class plans as we feel demonstrating random techniques at every class doesn’t allow students to explore Jiujitsu to its fullest and develop a detailed oriented mindset. Kaizen Lab Jiujitsu is proud to be able to offer all our students with a complete curriculum for whether you’re a novice or if you have been training for 8+ years. We pride ourselves on great mat culture. What does this mean? It means that while we instil discipline as a martial art this does not mean we don’t have fun. A safe, warm and welcoming atmosphere is what you can expect. This allows all our students to rest assured that their partner is always looking out for their well being. We believe dedication and training can also marry with a relaxed environment where exploring of different techniques in a live roll is not only done but encouraged. Register for your free trial class and see for yourself!